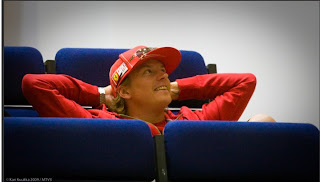 Home analise Can Kimi Win Again at Monza? Can Kimi Win Again at Monza? 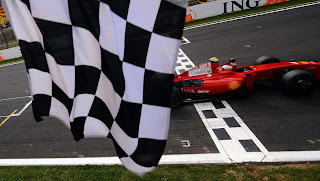 As the chequered flag dropped in Spa, Kimi Raikkonen had driven flawlessly to his forth Spa-Francorchamps victory—his first of the 2009 season. His recent consistency and impressive results, despite a less than perfect car, may have saved his seat at Ferrari for next year. With an average ranking during qualifying of seventh, and an average race position of fourth, he is making the car work for him during the race, if not during qualifying. His excellent use of his KERS button at Spa meant that he shot up to second before a crash behind caused the safety car to be brought out. It was the restart, as the safety car headed back into the pits, that gave Kimi the chance to hit his KERS button out of La Source, staying in Fisichella's slipstream, showing some excellent driving though Eau Rouge, and pass the Force India on the straight. But this was due to some unexpected qualifying sessions. Because of the apparent lack of grip from the McLaren's, and the distinctive Luca Badoer, in the second Ferrari, in last place. This meant that Kimi Raikkonen was the only KERS equipped car in the top 10. 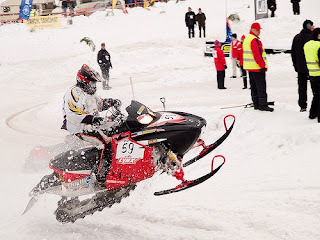 Starting from a reasonable sixth place, he looked in a comfortable position for the race win. Although Kimi did not have the fastest car on the grid, he had made good use of his only advantage. It was clear that the Red Bull of Sebastian Vettel and the Force India of Giancarlo Fisichella were quicker than Raikkonen's Ferrari. Fast forward to Monza 2009. The McLaren's may well struggle again at the fast and slow corners of the impressive, historic circuit. And, unless Ferrari have found a suitable replacement for Badoer, Kimi may end up being the only KERS car in the top ten again. If McLaren manage to get through, then Raikkonen has almost no chance of winning. However, if the lack of grip still plauges the McLaren's, then Kimi could have another very good chance to win. His KERS button, being pressed at the exit of Parabolica, would send his car steaming down to the first corner, and he would be deadly in another car's slipstream, or out braking into the first chicane. In my opinion, a win at Monza, in front of the Tifosi, at Ferrari's home circuit would seal his future as a Ferrari driver for the 2010 season.